This course presents details on the science behind super foods, revealing how food can increase your overall performance. By completing this course, you will learn how to shop for the best foods; understand which foods to avoid; the science behind organic foods; and the best super foods to buy on a budget. Based on the latest research, this course covers the legitimate effect food has on performance, colds/flus, chronic disease, memory loss, cancer, and a lot more as well as the antibacterial and home remedy properties of super foods. In addition, the latest food and health trends are covered, helping you to sort fact from fiction. Conventional medical approaches are often complemented by therapies that are referred to as alternative medicine. Many forms of alternative medicines have found their way into the mainstream of the medical community and are used to treat disorders, relieve symptoms and improve quality of life, especially through pain management. 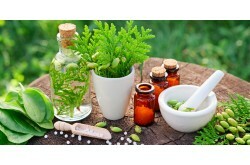 The National Center for Complementary and Alternative Medicine (NCCAM), a government agency, continues (along with other reputable entities) to conduct scientific studies focusing on the safety and effectiveness of alternative therapies. Healthcare professionals should be aware of the various forms of complementary and alternative medicines and gather information from the patient about any alternative therapies being used. This 115 hour course provides an overview of the anatomical structures and physiology of the human body. The course discusses each body system in terms of the major anatomical structures and functions and explains how each system participates in homeostasis of the body. In addition, the course discusses selected major pathologies, including disease definitions and causes, signs and symptoms, diagnostic procedures, and possible treatments. Finally, the course discusses common issues and changes that occur in each body system throughout the lifespan. Applying Medico-Legal Principles to Protected Health Information is a micro course that explores the requirements for applying medico-legal principles when working with protected health information. In this mini course we will discuss the HIPAA Privacy Rule, patient information, and the different types of records. Learners will navigate through the training material before completing several short activities to test their retention of the information. Medical Coding is one of the most desired fields, offering the freedom to work at your own pace in your choice of environments. Medical coders review patient notes, evaluate physician's codes, and often research to assign accurate codes. As an invaluable part of any healthcare team, medical coders essentially ensure that physicians and healthcare facilities are compensated for their services. This course will provide an in depth look at the world of being a medical coder. The course will explore two of the largest industry certification providers, AHIMA and AAPC, and take a look at the different certifications available. 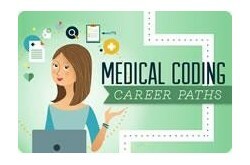 With the interactive activities and quiz, this course will allow you to determine if stepping into the world of Medical Coding is right for you! This course presents information on the threat that terror organizations may use biological agents to kill people and cause chaos. Biological warfare is regulated and denounced by world governments. Terrorists are increasingly likely to use biological agents for the fear it creates in others. Companies, families, and individuals can prepare by learning about bioterrorism, preparing for attacks, and learning how to mitigate the effects of an attack. This course gives learners practical information they can apply at work and at home. Cardiac Arrhythmias is a micro course that explores the most common cardiac arrhythmias. In this course, learners will discuss arrhythmia and the different types. Learners will navigate through the training material before completing several short activities to test their retention of the information.